Hungarian Prime Minister Viktor Orbán is facing a battle in Europe. He claims to defend Christian Europe against a liberal Western world. In the European Union, he seems to be a lone voice who fights all those who tolerate the influx of millions of refugees and the persecution of Christians in the Middle East. But Orbán has supporters. Millions of Hungarians and other Europeans stand behind him, and he is even gaining the support of a few other EU leaders. But Orbán’s strongest support comes from yet another place: the Roman Catholic Church. Last September, the Hungarian Catholic Bishops’ Conference raised its voice to defend Orbán’s controversial migration policy. “There may be some questionable points but the government was trying to defend Europe and the country itself,” Bishop Andras Veres of Györ said. For years, Orbán has been working on his own solution to the migrant crisis. As Western leaders and the liberal media wrote Orbán off as a far-right leader, the Vatican took note. Unnoticed by the West, Orbán has been laying the groundwork for a European Middle East policy that many other European leaders will follow. On January 22, Orbán welcomed Cardinal Mario Zenari, the Apostolic Nuncio to Syria, to Budapest. The central theme of their discussion was the consequences of the Syrian civil war on its Christian population. At Zenari’s request, Orbán committed Hungary to finance the operation of three Catholic hospices in Syria for one year through the Italian avsi Foundation: the Aleppo St. Louis Hospital, the French Hospital and the Italian Hospital in Damascus. Orbán said his government seeks to address the conflict at its source rather than “bringing trouble over to Europe.” The $1.8 million aid to the Syrian hospitals should be seen as a sign of Hungary’s solidarity with the Catholic Church. Hungary is the Christian project’s first public donor. Through Orbán’s donation, hundreds of Syrian Christians will be able to receive necessary support. Zenari explained that the Open Hospitals project is significant as 54 percent of public hospitals and health centers in Syria are either completely closed or only partially operating due to the civil war. He emphasized that the hospice is also open to Muslims. Orbán’s assistance to persecuted Christians in the Middle East is critical. His latest cooperation with the Vatican will prove of utmost importance. His meeting with Syria’s apostolic nuncio is a sign of the small beginnings of a new era of Christian expansionism. Since 2010, the Christian Syrian population has declined from 10 percent to less than 3 percent. Persecuted Christians facing death have fled the country, many to Europe. Zenari and the Vatican are concerned, and Orbán shares their concern. Orbán knows that to protect Christian Europe, the battle must extend far beyond Europe’s borders. He wants to preserve Christian Europe by strengthening Christian communities in the Middle East. For the Vatican, Syria is of special importance. Historically, emperors of the Holy Roman Empire established a Christian base in Syria as a launching pad for their conquest of Jerusalem. During the Crusades, holding Syria was crucial to controlling the Holy Land. Once the crusaders lost Syria, as in the second crusade in the 12th century, the goal of reaching Jerusalem quickly faded. Today, Syria is torn apart by civil war. Yet the Bible predicts in Psalm 83 that Syria will ally again with Catholic Europe. This prophecy is explained in our free booklet The King of the South, by Trumpet editor in chief Gerald Flurry. Orbán and other European leaders are now working to establish another Christian stronghold in Syria. The Catholic Church’s goal to Christianize the Middle East remains the same. But history shows that whenever the Catholic Church has allied with European political leaders, its attempts to do so have been bloody. Orbán is proving to be a trustworthy ally in the Vatican’s long quest for Jerusalem. The Hungary Helps Initiative pursues … a “smart help” policy for the management of migration crisis, and fights the silence in politics and the media about the persecution of Christians in the Western world. This includes not only embracing the cause of these communities, but also offering them direct help. Unlike most other humanitarian projects, Hungary’s help program is specifically designed to help Christians. Muslims also benefit, and the program is designed to bring them into contact with Christianity. Orbán doesn’t work through the large Western humanitarian aid organizations. Instead, he directly sponsors local Christian organizations and churches. The Hungary Helps Initiative has, among other projects, financed the reconstruction of destroyed Christian communities and the construction and reconstruction of Christian churches in the Middle East. Other governments have failed to provide Christians in the Middle East similar help, thus many Christian groups in the region have come to see Orbán as somewhat of a savior. Orbán believes that the better that conditions for Christians are in the Middle East, the fewer refugees will be heading to Hungary. The special commissioner of Hungary Helps Initiative explained, “Without Christians in the Middle East, the countries will have more chaos. More chaos means more refugees. And we will see these refugees again at the borders of Europe and the borders of Hungary” (Trumpet translation throughout). In other words, the more Christians there are in the Middle East, the safer the Middle East will be. Muslims have benefited from the Christian communities in the Middle East. Christian leaders believe that more of the same will bring lasting peace. However, considering the existing tension between radical Islam and Christianity, this logic is questionable. While Hungary sponsors the construction of Christian churches, radical Islam targets them for destruction. Lasting peace will not result. Hungary recognizes this fact, so it is extending its military presence in the region to combat radical Islam. According to the Hungarian Review, one of the initiative’s greatest achievements has been in Iraq. The Hungarian Catholic Church and the Chaldean Catholic Church constructed a school for refugee children in the Ankawa district of Erbil in Iraqi Kurdistan. The school provides education to more than 600 refugee children, Christians and Muslims alike. Europe as a whole has done little to help persecuted Christians in the Middle East. Fearing to spark controversy, mainstream media have ignored the topic. Thus Orbán has attracted various Middle Eastern patriarchs, heads of churches, and other Christian representatives. In their eyes, he is one of their strongest supporters in the fight against the persecution of Christians in the Middle East. Though Viktor Orbán cooperates with the Catholic Church, he is not Catholic. 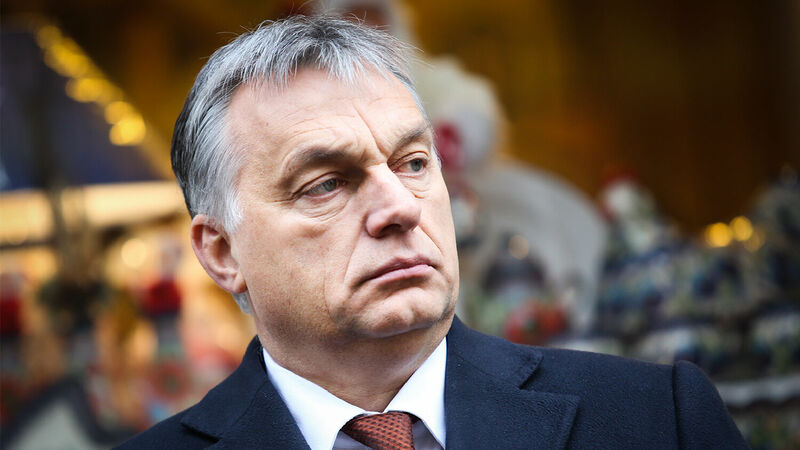 Orbán is part of the Calvinist Hungarian Reformed Church and has strongly opposed the liberal direction the Catholic Church has recently taken. The time when doctrinal beliefs separated Catholics from Protestant reformers has long been over. For most people, religion is little more than an affiliation. The refugee crisis has revitalized Europe’s Christian identity. Many, especially older people, have stayed in the church only because they fear a Muslim takeover. Orbán’s call for a religious revival has also little to do with spirituality and more to do with politics. Orbán tends to work with whichever institution holds more power and shares his goals. In most cases, that is the Catholic Church. In his quest to revive Europe’s Christian roots, Calvinist Orbán and many Catholic conservatives are united. Today, Orbán has no reservations in cooperating with the Catholic Church to achieve his goal. But Orbán has some major disagreements with Pope Francis and his liberal approach to the migrant crisis. To succeed in his ambition to preserve Christian Europe and convert the Middle East, Orbán will have to submit to and cooperate with the Vatican and the rest of Europe. He already supports the Vatican’s initiative in Syria. We can expect a much stronger relationship to build over the coming year. Strong cooperation might not be entirely feasible under the more liberal rule of Pope Francis, but there are plenty of other Catholic leaders who think much like Orbán does. More and more religious and political leaders are realizing that religion has lost much of its former power. Only through united effort can disparate religious groups reach their common goal. This realization drives Orbán and others back to the Vatican. Herbert W. Armstrong, founder of the Plain Truth newsmagazine, prophesied that the Catholic Church would reunite with its daughter churches. In 1963, he wrote, “Protestant churches everywhere are gravitating toward union with the Roman Catholic Church. These religious movements are speeding the fulfillment of the prophecies of the resurrected Roman Empire.” In the Plain Truth magazine, he boldly stated: “Protestantism will be absorbed into the ‘mother’ church …” (October 1961). Mr. Armstrong based his forecast on a prophecy in Isaiah 47. Prime Minister Orbán’s founding work in the Middle East is worth studying, as it follows a historic pattern that Bible prophecy foretells will repeat one more time on the largest scale ever. Consider how the Middle East would transform if more leaders of European nations more powerful than Hungary showed the same dedication. The EU may view Hungary as an outsider, but Hungary sees itself as a pioneer. “We would like the European Union to embrace all that the Hungary Helps Program stands for and to adopt it within its own policies,” stated Tristan Azbej, deputy state secretary in the Hungarian government. Following “Hungary’s daughter,” they would like to see settlements such as “Germany’s son” or “the UN’s grandson” built, Azbej said. The Bible prophesies that more EU nations will indeed cooperate with the Catholic Church and follow Hungary’s course in the Middle East. Jeremiah 1:15 prophesies that “all the families of the kingdoms of the north” are about to surround Jerusalem. The “kingdoms of the north” refers to a prophesied resurrection of the Holy Roman Empire in Europe, led by Germany. But notice, this prophecy indicates that these kingdoms will include various families. Over the centuries, families have grown large and become nations. From Daniel 2 and Revelation 17, we know there will be 10 kings leading 10 nations or groups of nations in Europe. Revelation 17:12 says, “And the ten horns which thou sawest are ten kings, which have received no kingdom as yet; but receive power as kings one hour with the beast.” These kings will be controlled not by liberal Western institutions, but by the Catholic Church (verse 1). Hungary under Orbán is only a small part of this prophesied union. But his work in the Middle East gives us a glimpse of where all Europe is heading. These rising 10 kings will be heavily involved in the Middle East. On the one hand, they will oppose radical Islam led by Iran (Daniel 11:40). On the other, they will establish their own religious headquarters in the region (verse 45). As Revelation 17:13 shows, these kings will unite under one government. This powerful union will not come about until one overarching leader, prophesied in Daniel 8, unites them. Mr. Flurry has suggested that this prophesied strongman could come on the scene in 2019. When he assumes power, we will soon see the most powerful resurrection of the Holy Roman Empire. This strongman will make use of the pioneering work Orbán has done in the Middle East and that others have done in Europe. The Bible refers to this time as the Great Tribulation, “a time of trouble, such as never was since there was a nation” (Daniel 12:1). But while Mr. Armstrong prophesied of this coming cataclysmic catastrophe, his message was also the most hope-filled message this world has ever heard. Bible prophecy points people to their Creator, who is about to intervene in world affairs and bring true, lasting solutions to the world’s problems. A casual reading of news will not give you understanding of God’s plan, but our free literature will enlighten those willing to heed God’s message today. Request your free copy of The King of the South and Jerusalem in Prophecy to learn where world events in the Middle East are ultimately leading.